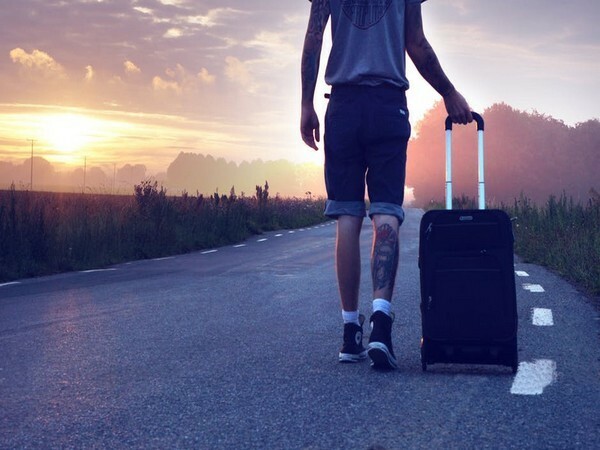 There are countless apps for travelers, but the majority focus on hotel reservations, tourist attractions, and guides, but are not designed for connecting with other like-minded travelers. It is an online travel social network connecting people globally by mapping them on the basis of similar travel interests. At trekteller.com, the ones planning a trip can ask anything about the place from someone who has been there. On the other hand, those who have already traveled places can share their exciting travel stories through pictures, videos, relevant links, comments, and help others in Trekteller network with reliable insider information while gaining rewarding exposure for their engaging travel posts. This is a win-win situation for everyone involved and leads to an enhanced, yet hassle-free travel experience. It is a unique travel app to discover real travel itineraries written by real travelers, with real route maps, photos and guides. Tripoto, a community travel app which brings together travelers from around the world to share and discover – real, actionable, crowd-sourced travel stories. Tripoto maps every single destination in the story – along with the associated content and pictures. This platform has an excited features sharing and discovering easier, smoother and fun for the travelers. A community travel app instantly organizes all your travel plans in one place. Simply forward travel confirmation emails to plans@tripit.com and TripIt will create a master itinerary for each of your trips. It’s a detailed, daily itinerary with important dates, times, and confirmation numbers, plus directions, maps, weather, and more. Also you can view your itinerary anytime, on any device – even when you’re offline. The free mobile app gives you 24/7 access to your important travel plans. It is one of the world’s largest travel social networks with travelers from 180+ countries. You can connect with fellow travelers, solo backpacking enthusiasts, digital nomads or groups of friends and families and share itinerary plans with your travel partners. You can post your latest vacation photos and videos on the feed to make your trips memorable. Travello is like the LinkedIn for travelers where you can connect, send updates, and find out what’s going on at your intended destination. An award winning website which gives you the tools to plan your next trip; in-depth information on destinations; inspiring ideas on what to see and do; the Thorn Tree forum to connect with other travelers; and travel guides and other products. The beautifully designed, easy-to-use mobile apps put the breadth and depth of Lonely Planet’s travel content in the palm of your hand. Lonely Planet makes you to plan and book your perfect trip with expert advice, travel tips, destination information and inspiration more feasible.